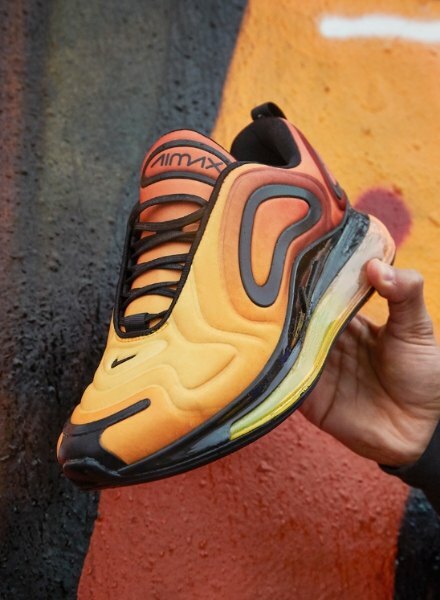 Smashing expectations of Air, Nike have redefined comfort with their fire new silhouette; the Air Max 720. Pushing Air tech to its limits, these trainers are equipped with Nike’s tallest ever Air unit – measuring a mega 38mm! Though Air started out as a key feature for performance, the Air Max 270 showed that Air is just as essential for supreme comfort on the streets. Air units built specifically for lifestyle are nothing new for Nike, but the 720 is the first sneaker to make this full-length. Shaping the future of Air Max, Nike’s Senior Creative Director Dylan Raasch and Footwear Designer Jesi Small were given the task to take Air to the next level. Absolutely smashing it, the 720 was born – following in the footsteps of the AM270, which first dropped early 2018. These trainers have a textile and synthetic upper that’s similar to the VaporMax Plus. 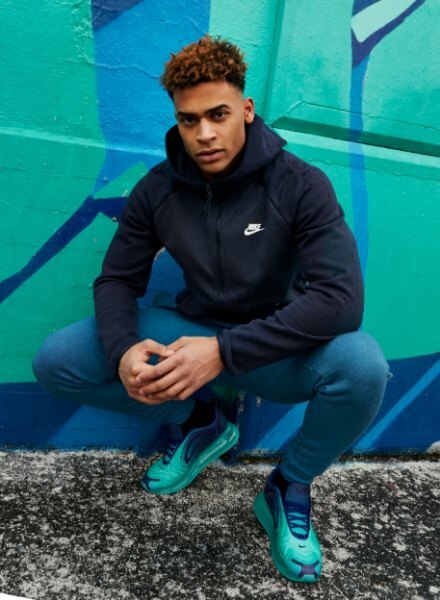 For the colourways, Courtney Daily (VP of Colour Design at Nike) said that they wanted to make statement, without taking away from the tech of the shoe – but instead, amplifying it! Each colourway takes its inspiration from nature. From lava flows to the Northern Lights and sunsets to sunrises, there’s a different natural wonder reflected in each one. The 720 was actually named after it’s Air unit, which cradles the entire outsole for a switched up, futuristic look. Air is visible in 360° – both horizontally and vertically, hence the name 720. Taking it up a level, this Air unit measures 38mm tall, smashing the previous record set by the 270. With the biggest heel volume displacement, they’re the springiest Air Max yet! Expect unparalleled comfort. Not sure what to wear them with? Though they rep a bold aesthetic, Nike’s Air Max 720 are actually ultra-versatile. Pair them with a full black ‘fit and let the colours pop, or wear some colour up top for a head to toe statement – guaranteed to break the norm. From skinny jeans to track pants, these are you new go-to whatever you’re wearing. Shop the entire Air Max 720 collection on site now.